Are the 2017 Vols More Talented than Last Year? Tennessee lost several talented players off their roster after the 2016 season, not only in terms of production on the field, but also in terms of evaluated talent by scouting services. Josh Malone and Alvin Kamara were considered five-stars by at least one recruiting service before they came to Tennessee, and Derek Barnett, Josh Dobbs, and Jalen Reeves-Maybin were all considered four-stars coming out of high school. But even after all those losses, the Vols may still be more talented this year than they were last season according to 247Sports. Starting in 2015, 247Sports started tracking “team talent composite scores” for every team in the FBS. They figured out the score by counting all the three, four, and five-stars still on every team’s roster for that respective year according to their own 247Sports Composite rankings. And according to their numbers for this year, the Vols have a more talented team in 2017 than they did in 2016. Tennessee has an overall score of 817.35 and an average score of 88.36 per player. That puts the Vols’ average player at the borderline between a three and four-star recruit, and it’s good enough to have the roster ranked 12th in the nation in terms of talent. According to the 247Sports Composite rankings, the Vols have two five-stars, 30 four-stars, and 49 three-stars on their 2017 roster. And when compared to the Vols’ roster last year, the 2017 squad has more overall talent than last year’s team. 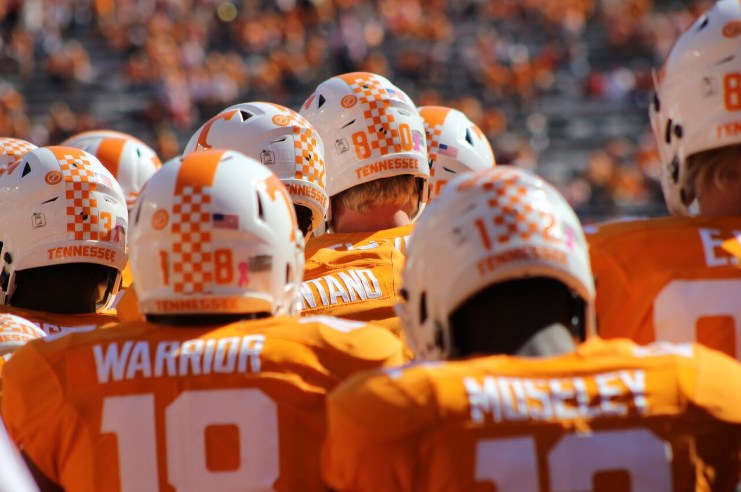 Last year, the Vols’ composite score was 813.92 with an average score of 87.38 per player. The Vols’ roster ranked 14th in the country, and Tennessee had one five-star, 35 four-stars, and 37 three-stars on the roster. The big difference between the talent on this year’s roster compared to last year’s is the age, however. Tennessee has a lot of talented younger players on this year’s roster (with the exception of the defensive line which is loaded with highly-ranked juniors). Some of the Vols’ most talented players in terms of recruiting rankings either haven’t played in college or don’t have a ton of experience yet. Trey Smith, Ty Chandler, Nigel Warrior, Tyler Byrd, Latrell Williams, and Maleik Gray were all at least four-stars on 247Sports, but none of them have made huge contributions as of yet. And they’re just a small sample size of the Vols’ young, talented players. Both of Tennessee’s quarterbacks were also four-stars, and neither has made a start in their collegiate career. Tennessee may be more talented this year, but they lack the experience last year’s team had. That experience meant little when injuries hit, however, so talent and experience aren’t always the end-all be-all in college football.